Contains FCHG49® Glucosamine Hydrochloride and TRH122® Sodium Chondroitin Sulfate.† Glucosamine and Chondroitin Sulfate are the researched trademarked ingredients in Cosequin. The combination of glucosamine and chondroitin sulfate has been shown to protect joint health and help protect against cartilage breakdown. 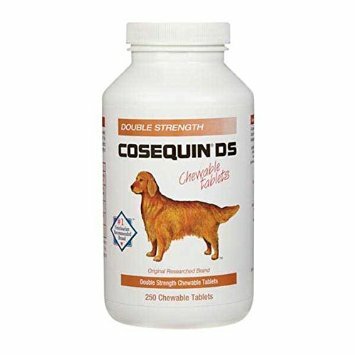 Use Cosequin to support your pet's mobility.